I’ve been staying and working in Nelson the past 4 weeks now, so I figure it’s time to write about where I’m staying and working. Part of the delay has been the picture backlog presented by the last few posts (okay, the Toothpick didn’t take long). Part of the delay has been me enjoying doing nothing. Nothing at all! It’s a wonderful life doing nothing for stretches at a time. After a while it can get boring, but then you go do something and you look forward to doing nothing again. I’m working at a hostel called ‘The Bug’. Yes, that kind of Bug. Toothpicks just don’t get enough respect. They play a vital role in our lives – removing stuck food from our teeth. How many times would we have looked a fool, yet have been saved by the wonderful little piece of wood known as the toothpick? But where are the paintings, monuments and national holidays celebrating them? Nelson, New Zealand, took notice and decided to do something about the glaring public indifference. 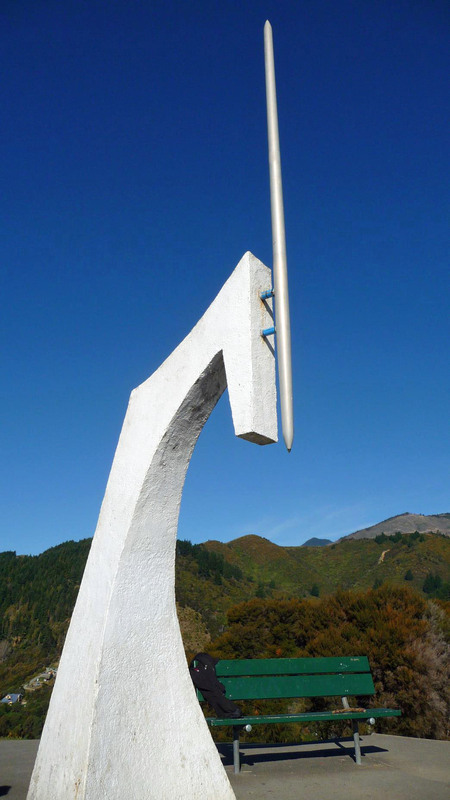 At the cost of $200,000 (NZD), they put up a huge monument in honour of the mighty toothpick, that can be seen from most places in town. When I had planned to go hiking around Nelson, I had pictured the Abel Tasman, Heaphy and Angelus Tracks. I had never even heard of the Travers-Sabine Circuit. That was until I was at the DOC office in Nelson looking around and noticed an extended circuit in the Nelson Lakes area that could incorporate the Angelus Hut. As it was considered a much more difficult trek, I had written it off as one I wouldn’t do, as I’d need someone to go with me and I didn’t want to put in the effort to find someone, when I could just do the simpler Angelus Track by myself. Those plans changed when Danielle suggested we do the entire circuit instead of just the Angelus Hut. After the Abel Tasman, I took a few days to rest back in Nelson. 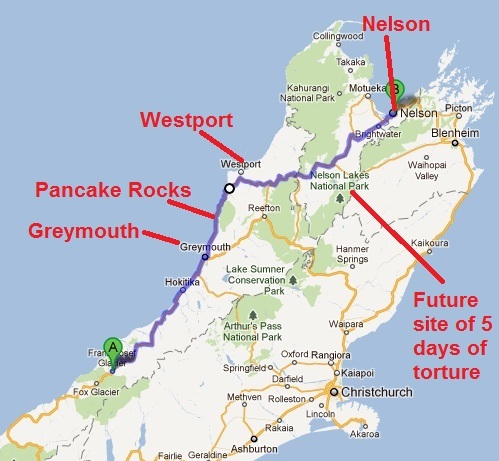 I had planned to do my final Great Walk, the Heaphy, next. At 80km long, the Heaphy Track is the longest Great Walk, though not the most difficult. 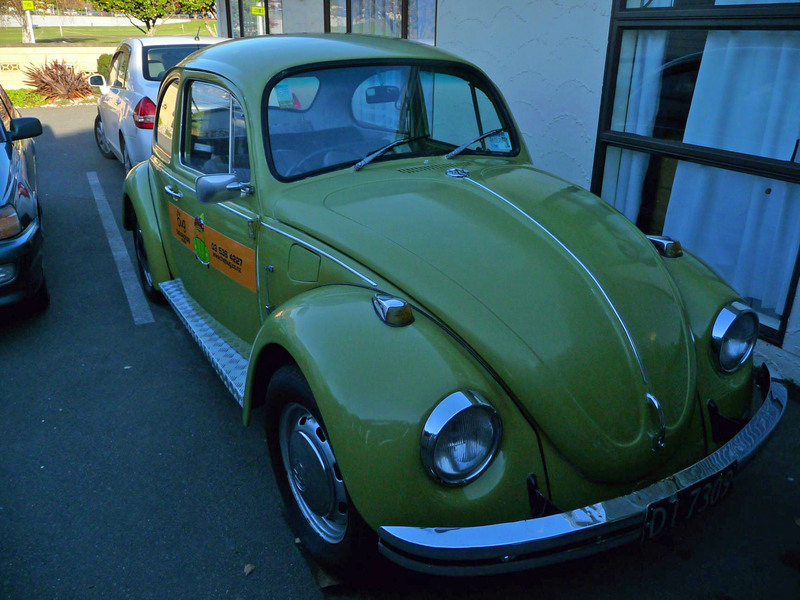 I picked the hostel called ‘The Bug’ for a 3 night stay. However, plans changed. While at the hostel I was sharing a room with Kat and an Israeli girl by the name Danielle. She found out I enjoyed hiking, and that we both had similar interests. While I had planned to do the Heaphy track next, the Angelus Hut track was another I had wanted to do while in the area. Danielle was looking for someone to join her hiking in the Nelson Lakes area, so we did the hike together. Except the hike wasn’t exactly the Angelus track as originally planned. Nelson Lakes National Park is about an hours drive south of Nelson, and is the northern area of the Southern Alps. 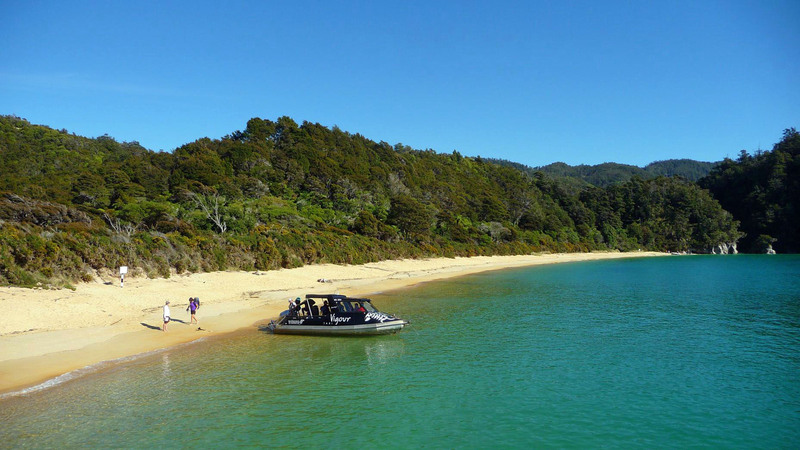 Far and away, the Abel Tasman is the most popular Great Walk in New Zealand. While the Milford is the most well known and hardest to get a spot on, the ease of access, natural beauty of the golden sandy beaches, wonderful weather and generally easy hike make this an extremely popular spot for everyone. I had already walked a portion of the Abel Tasman with my parents, and now I was back to do a larger portion of it, and in a different fashion. Via sea-kayak! After an eventful and very enjoyable 11 days with my parents, we drove to Picton where we went separate ways at the ferry. They were off to Wellington, while I had a few last things I wanted to do around the South Island before I returned to the North. 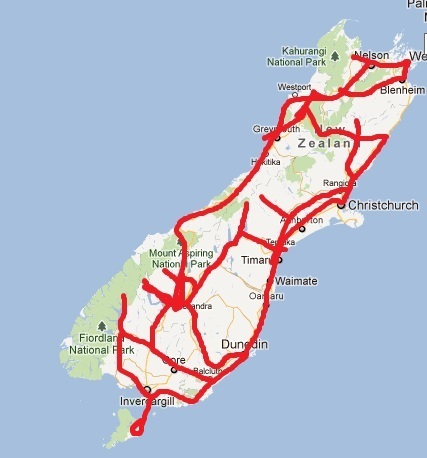 Upon getting into Picton, I had now closed a massive loop around the South Island, starting January 2nd and not finishing until April 11th. Sunny Nelson has a few notable activity choices, but the topmost on most people’s itinerary is the Abel Tasman National Park. Thanks to a great GrabOne deal, my parents and I boarded a big water taxi and headed into the park for a day of walking along beaches, as part of the Abel Tasman Great Walk. Once again it was a gorgeous sunny and warm day. Perfect for hiking. The drive from Franz Josef to Nelson is long and while it does have a few things to look forward to, mostly it is just a lot of driving. After heading out from Franz, my parents and I made a quick stop in Greymouth for their morning coffee and my morning Caramel slice. We were once again surrounded by blue skies and sunlight. I for one don’t get tired of it!